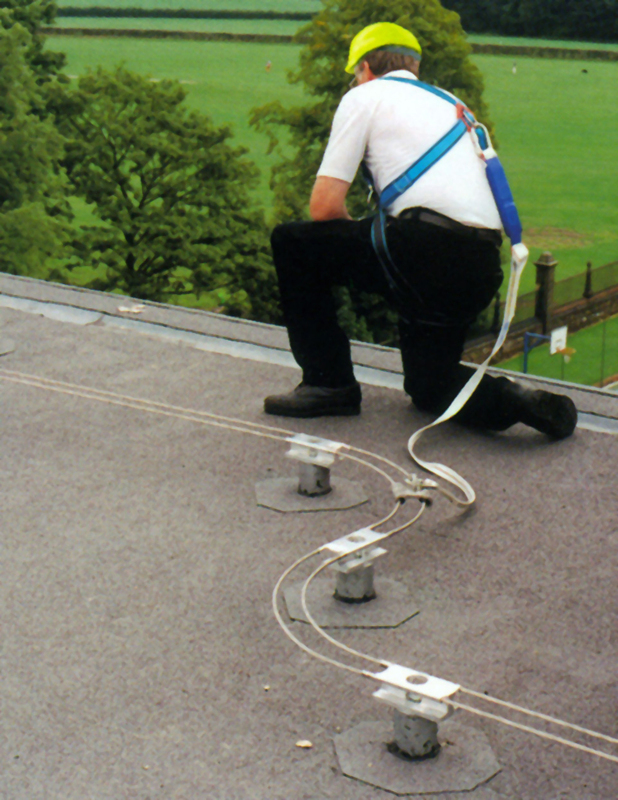 The Travsafe horizontal lifeline system allows complete freedom of movement for working at height, ensuring safety whilst traversing horizontally over any given distance. The twin cable system offers three main benefits. Less deflection in the event of a fall than a traditional single cable system providing the customer with increased safety. Allows the intermediate brackets to be fixed much further apart, which means fewer fixing points and, consequently , less penetration of the roof fabric. Smoother running of the traveller as it is permanently in line with the bracket. Travesafe is very simple to use. The user attaches the connector of their harness lanyard to a traveller, which runs smoothly along the system and around angles and corners. Travsafe can be installed in most orientations, floor, wall and ceiling mounted at head or a higher level. Travsafe is virtually unique in that a 10 metre retractable lifeline can be suspended from it for use in some overhead applications giving total flexibility. Travsafe conforms to BS EN 795 and is designed to meet the requirements of CDM regulations and other safety legislation such as HSG33.